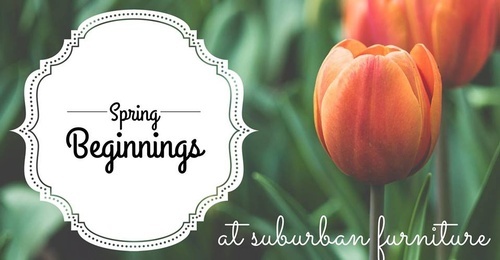 Come celebrate the beginnings of Spring with Suburban! The store is bursting with fabulous new accessories from Las Vegas Market! Be inspired by our freshly painted wall in the hottest new color, and fall in love with pops of color in vases, wall art, rugs, pillows and more! Bring your girlfriends for design ideas, fun treats and a little shopping to revive your home for Spring!